Trix is a reliable strain to turn to when in need of a good pick me up. It boosts moods with its impressive head high while calming an influx of turbulent emotions resulting from stress. Not to mention, it is unique amongst Sativa-leaning strains in that it can sometimes make users fall asleep. Because of this, it is a great source of reprieve for patients having trouble sleeping as a result of disease or disorder. In creating the strain, Riot Seeds used Colombian Gold. Coming form the mountains of Santa Marta, the landrace Sativa delivers a mellow cerebral euphoria that gently stimulates the mind while providing users with multiple therapeutic benefits. Not to mention, it is a sturdy strain that flowers quickly. It was later crossed with a Loompa Cut of Chemdawg D, a rare phenotype of the original Chendawg. It is a colorful bud that looks like a fox’s tail as it tapers on one end. Not to mention, it has powerful sedating properties. At 20%, Trix is one of the most potent strains in the cannabis market. It can easily topple even experienced users who consume beyond personal limits. Because of this, it should always be used in moderation. Otherwise, it can turn a pleasant high into an overwhelming experience instead. The onset is as quick as lightning. It starts within seconds after the first few puffs with a noticeable rush of euphoria directly to the head. Though intense, it is not at all overwhelming. Instead, it is an energizing experience that gets rid of cobwebs in the mind. A behavioral change is immediately noticeable too, once the effects have started to settle. Users are visibly happier as though trailing down on a memory lane filled only with happy thoughts. Meanwhile, an uplifting buzz surges through the muscles. Invigorating the body as it travels down to the tip of the toes. Although it has the ability to bring back one’s zest for life, Trix is still best used at home during a day off. It tapers down into a heavy-hitting comedown that deeply relaxes the body to the point of drowsiness. In all likelihood, users who lounge on the couch or bed after getting some work done will fall asleep. Trix has a sweet but pungent fragrance that tantalizes the senses moments after opening a bag of its buds. Breaking it apart, on the other hand, releases a subtle sourness reminiscent of berries and grapes. Meanwhile, combusting it releases its undertones of fuel. To take a swig off of Trix’s smoke is similar to a bite of berry pie. Its overtones are sweet but its sour undertones give it fuller flavors. Swirling its smoke inside one’s mouth brings out its hints of grapes. On the exhale, however, it quickly turns into an aftertaste of fuel. Apart from the usual dry eyes and cottonmouth, users may also experience dizziness while smoking Trix. It is sometimes accompanied by a subtle feeling of paranoia, especially when used beyond tolerance levels, although that is quite rare. Still, pacing and moderation are quite important. Starting with low dosages will keep the experience pleasant instead of overwhelming. It is not wrong to assume Trix is a recreational strain. After all, it does deliver an uplifting head high that leaves users feeling more upbeat than ever. However, it is also this same effect that makes it a great stress reliever and anti-depressant. Its happy high reduces stress by enhancing the mood and stabilizing turbulent emotions. It calms fast-paced worries, as well as overwhelming dread, with its soothing euphoria. At the same time, it manages symptoms of depression, anxiety, and other mental health issues like PTSD. High levels of THC contain analgesic qualities that ease out symptoms of physical health issues such as headaches and chronic pain, along with many others. It is most effective at relieving pain and aches all over the body before blanketing users in a tranquilizing body high. Its muscle relaxing properties also reduce spasticity. It calms uncontrollable contractions that cause pain. Replacing it is a subtle surge of energy that appeases fatigue and exhaustion so users can feel comfortable. 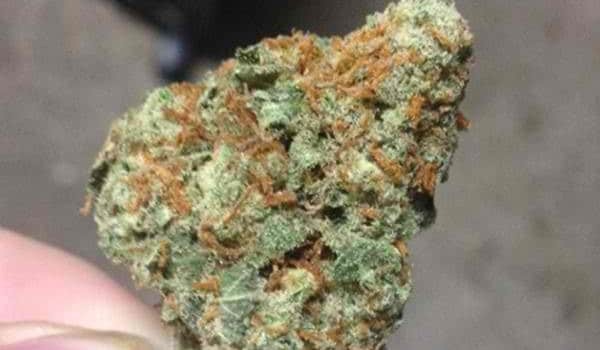 Trix is a sturdy strain that gains much of its look from its Chemdawg parent. It has deep green foliage that is accentuated by its striking milky buds with streaks of red and orange pistils. Its branches and stalks are thick too; however, it grows quite tall. Because of this, growers have to manage its height constantly by pruning it. It keeps it short as well as improves air and light circulation in the lower nodes. Indoors, growers may significantly impact yields by utilizing the Screen of Green method. Installing a screen then weaving its branches through the net during the vegetative phase will ensure even light distribution among the different sites. Not only that, it provides support to its branches. Hydroponics as a medium usually hastens the flowering period and can even double yields. However, it can be a difficult and expensive choice for beginners. Soil is more cost-effective and easier. In addition to that, it improves the overall flavors and scents of the strain too. Trix has an indoor flowering period of 10 to 12 weeks. Once ready for harvest, it yields between 12 to 16 ounces of buds per square meter. Like many plants, Trix likes to bask in the sunlight and, because of this, growers in the northern hemisphere should extend the flowering period up to the middle of November. Growers can expect at least 16 ounces of buds per plant at harvest. Have you ever smoked or grown your own Trix? Please let me know what you think about this marijuana strain in the comments below.